The Vodafone Smart first 6 user guide contains 57 pages. It's devided into 16 section. This manual provide detail reference information such as phone features and layout, using home screena and widgets list, how to text editing, using phone call, using gmail calendar and clock, also tutorial inserting or removing the SIM Card, MicroSD. Then about how to conecting the internet, using Chrome browser, Connecting to Bluetooth devices, USB also VPN settings, using camera and play video, Using Google Maps, file manager and radio. 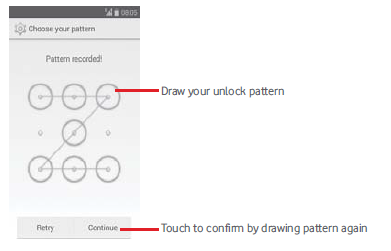 Other important information for example about networks settings, update phone guide safety and more.